Does the thought of eating the same soup – and nothing else – for the next 10 days make your stomach growl and your taste buds rebel? Join the club! 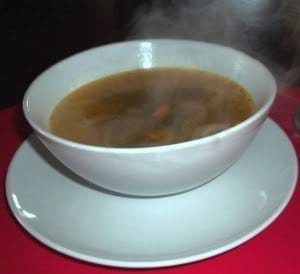 Wonder soup is probably the most popular fat burning soup recipe, as it’s a major part of the 7 Day Diet. This simple soup is a mixture of cabbage, onions, green bell peppers, tomatoes, celery, and a whole lot of water. You can add salt or pepper to flavor it, but the purpose of this soup is to kick your fat burning into high gear. 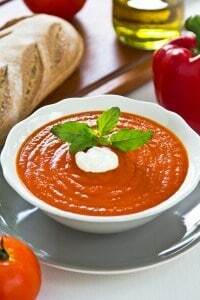 The fiber in the soup will work wonders to clean out your body (expect to spend plenty of time on the toilet, so charge your mobile phone or tablet). 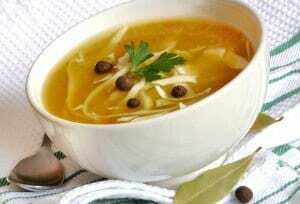 Eat this soup every couple of hours during the diet, and it will be a great soup to have on hand for any diet. My own attempt at Poor Mans Soup – Was Delicious! Poor Man’s Soup is made by rummaging around your fridge and pulling out whatever leafy and green ingredients you can find to make soup with. If you can find a carrot or two, drop that into the mix, and pray that you have some flavoring like chicken or beef bouillon. It’s actually a very tasty soup, but it’s surprisingly low in calories. You will be consuming about 100 calories for every bowl of the stuff, and it will get your body burning fat nicely thanks to the high vegetable content. Add lots of dark greens to your soup, and watch the pounds melt away. Dice the garlic and onions very finely. Place a soup pot on the stove with a tablespoon of olive oil in the bottom, and sauté the aromatics for 5 minutes. Pour in the broth once the onions are tender, and bring the pot to a boil. Slice the cabbage and spinach into small strips, dice the celery and carrots, cut the zucchini into small cubes 1/3” inch in width, and cut the broccoli into bite-sized florets. Add the vegetables to the soup, season with salt, pepper, and the green herbs and spices of your choice. Anyone who has ever tried miso soup has tasted the slimy dark green stuff floating around in the bowl, but did you know that wakame — the Japanese word for seaweed in soup – is rich in something called fucoxanthin? This hard-to-pronounce nutrient helps to speed up the fat burning, and it zeroes in on the fatty tissue stored in your body. Eggs are also a great source of protein and other fat-burning minerals, and egg whites have almost no fat. 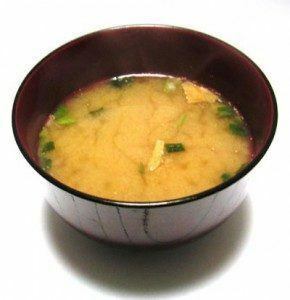 Crack two egg whites and one whole egg into a bowl, whisk it up, and drop it into your pot of boiling miso soup. Add seaweed, serve, and enjoy! 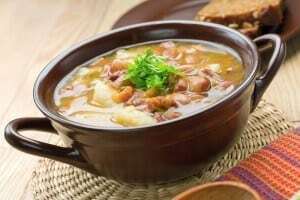 Everyone has heard of three bean salad, but three bean soup is a delicious alternative that will help you to fill your growling stomach without packing in the calories. Beans, lentils, and split peas are used for this soup, which helps you to burn fat, regulate your digestion, and promote muscle growth through the power of legumes (they’re not call the magical fruit for nothing!). Boil all of the legumes together for a few hours before making your soup. Drain the water once the legumes are cooked, add in low fat, low sodium chicken broth, and chop the veggies of your choice for your fiber and protein-rich belly blasting soup. The night before you prepare the soup, soak the three types of legumes in individual pots. Drain the water come morning, and put them on the stove to boil all together. Drop in a whole potato, as well as a whole onion and head of garlic – leaving the peel on. The legumes will need to cook for at least 4 hours, or until you see that the peas and beans have split. Drain the water from the legumes, and use a slotted spoon to scoop out the garlic, potato, and onion. Place another pot on the stove with the broth to boil, and add the legumes into the broth. Dice the onions to add to the soup, along with the carrots, cabbage, and bell peppers. Quinoa is one of the best whole grains to eat, as it won’t raise your blood sugar, it’s low in calories, and it fills you up quickly. Whip up a simple vegetable soup using your favorite greens and crunchies, and cook some quinoa in it. The fiber in the grain will bind with the fat in your body – causing it to be eliminated. The grain is very high in protein – a very powerful lipid-blasting nutrient — so you can get a complete fat burning meal just by eating this quinoa soup with veggies. Keep the cream, milk, and butter out of the pot, but add lots of garlic, onions, spices, and green herbs. If you can stand the heat of chili peppers, the capsaicin will add to the fat-burning properties of this soup! 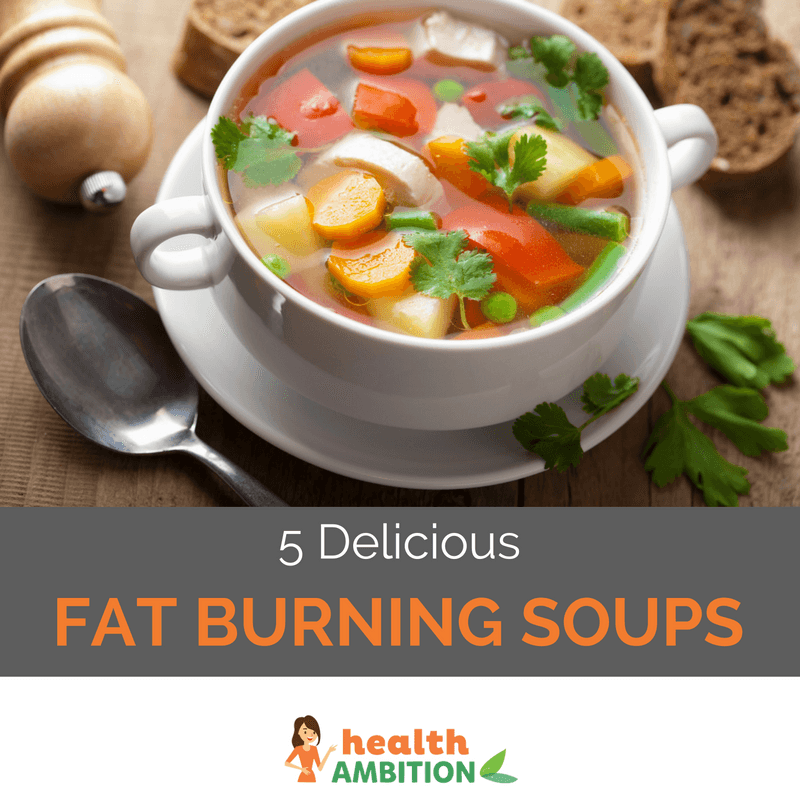 These are some basic fat burning soups, but they can help you to avoid cheating on your diet just because you’re hungry. They’re not only great for staying full, but they’ll actually help to get your fat burning going in earnest. Here’s a video showing one more soup recipe for weight loss! What is a Good Paleo Diet Breakfast? When you make the 7 day cabbage soup ,as you serve it can you liquefy it in a blender?